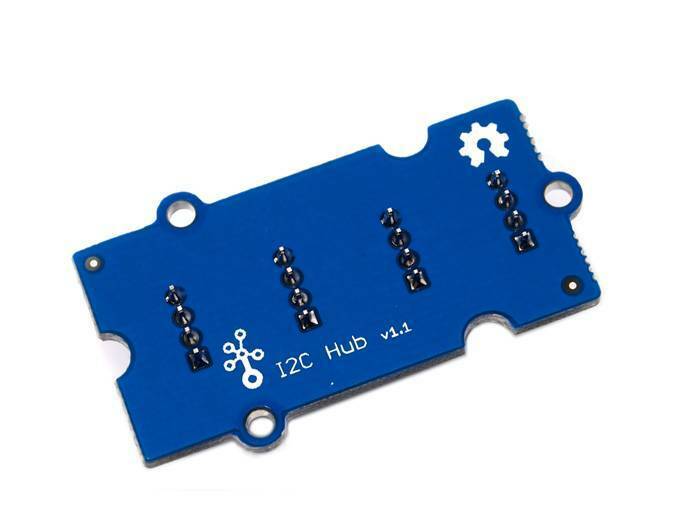 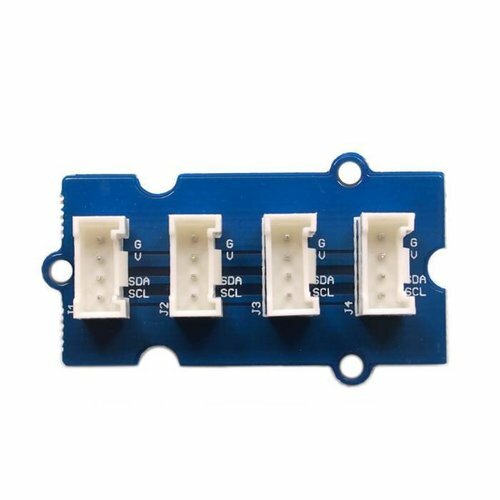 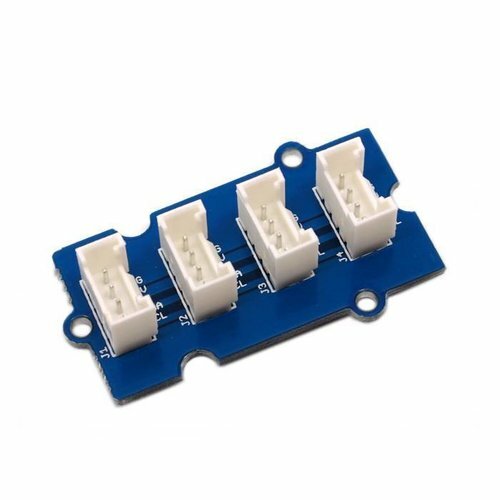 This I2C Hub is a Grove extension module for connecting multiple I2C devices to Grove Base Shield. 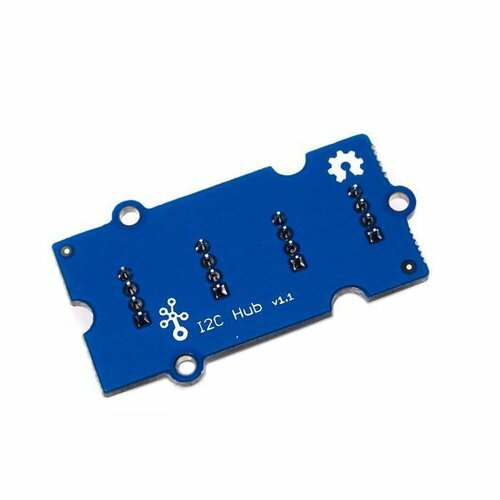 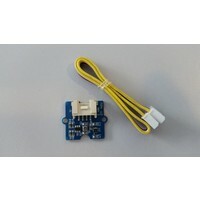 It can use with Universal 4 Pin to X2 4 Pin cable and connects up to 7 I2C devices which may cover most developing purposes. 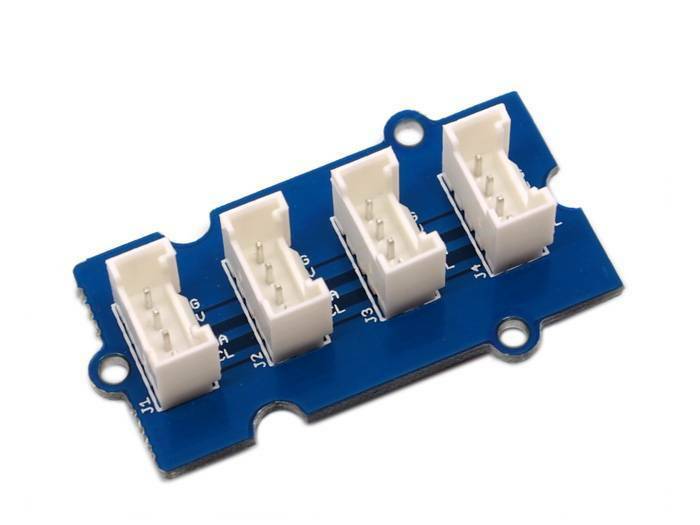 When building this from scratch, take care to mount the sockets properly to avoid shorting out a device. 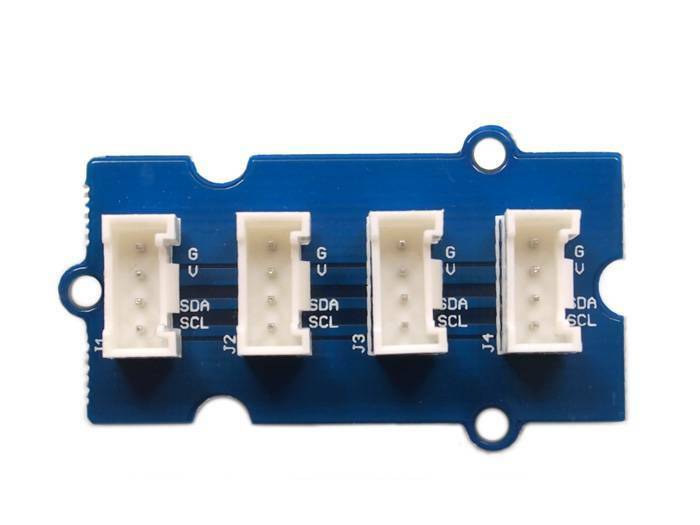 You should use keyed sockets to prevent reversing installation.